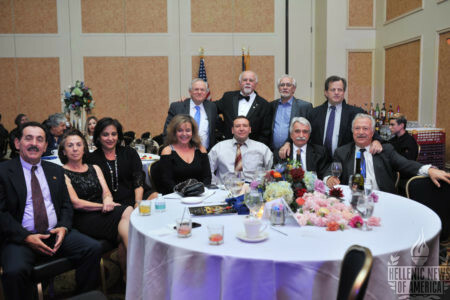 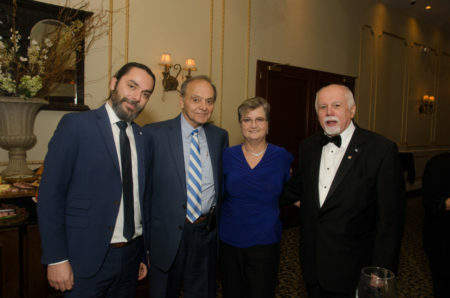 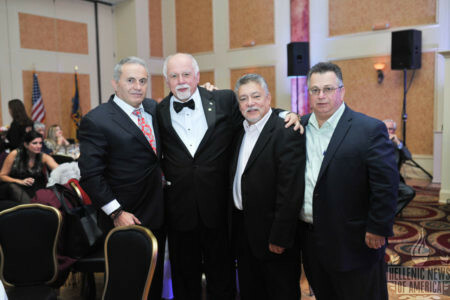 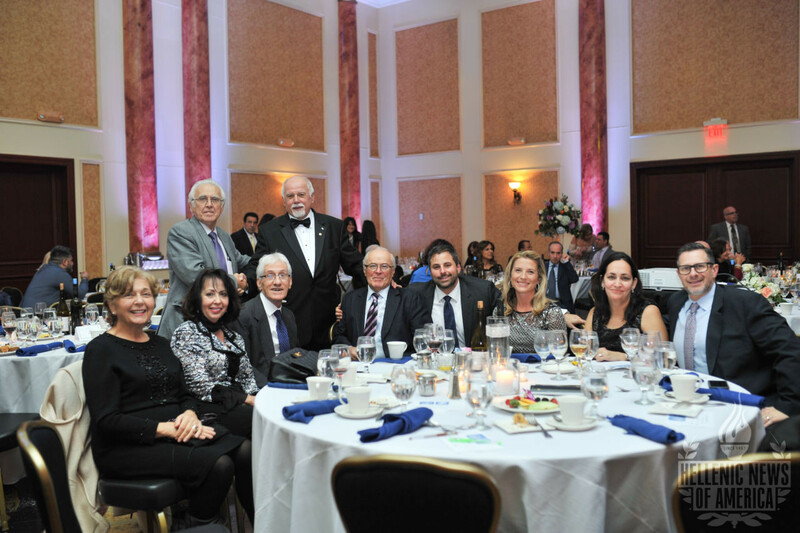 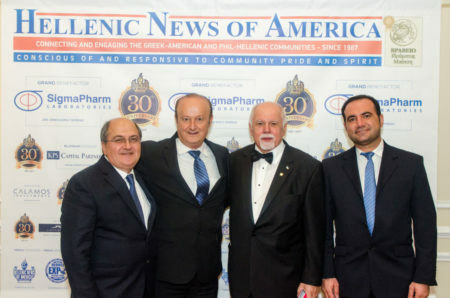 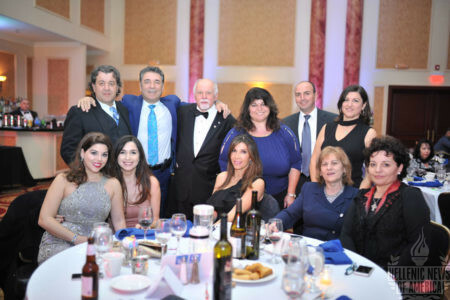 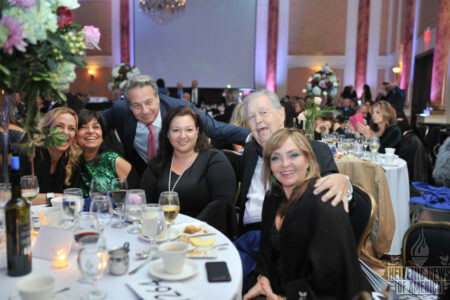 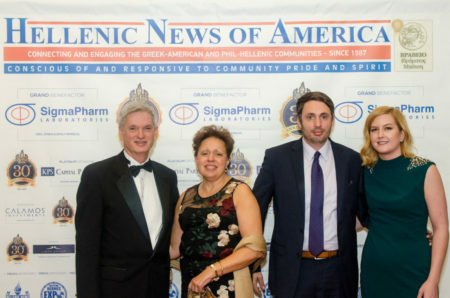 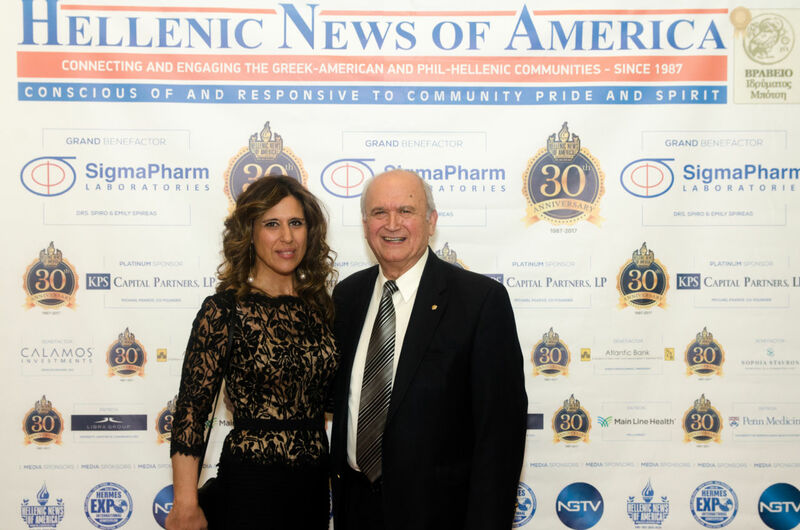 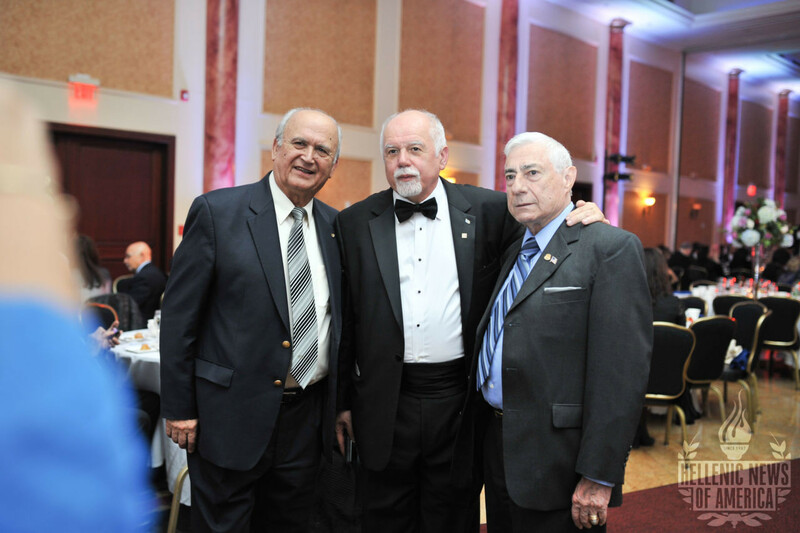 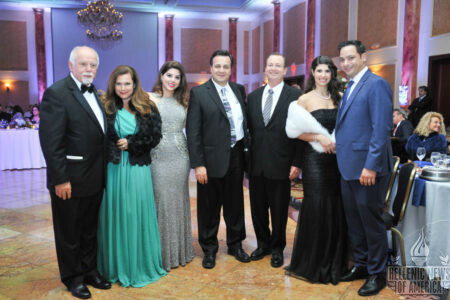 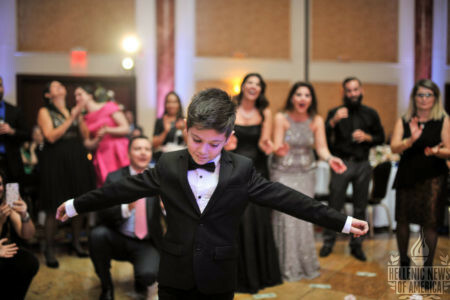 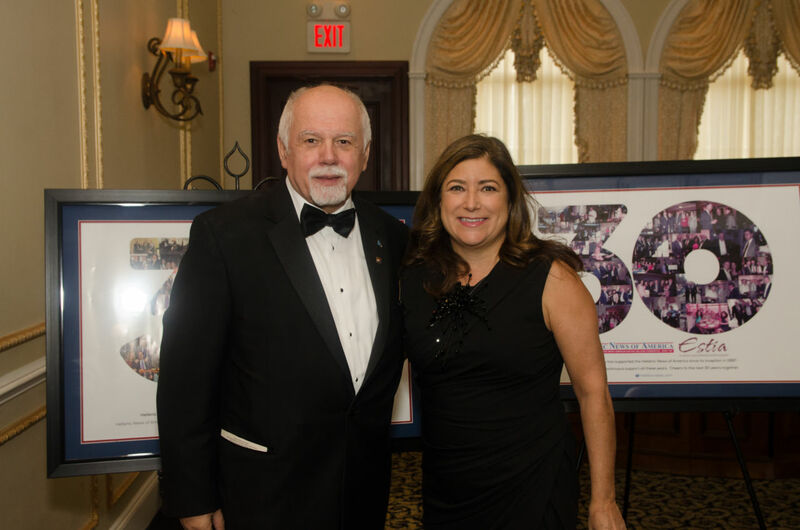 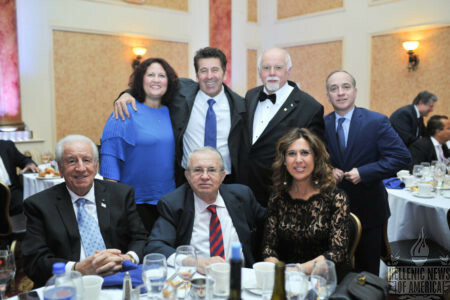 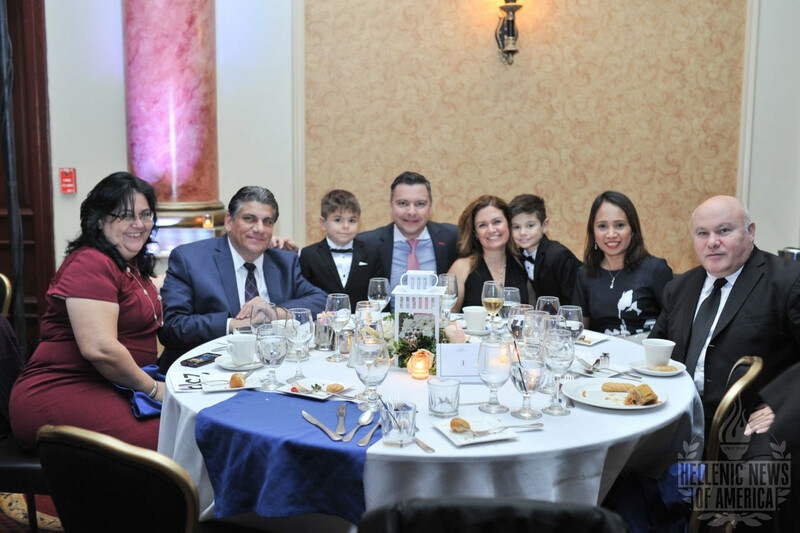 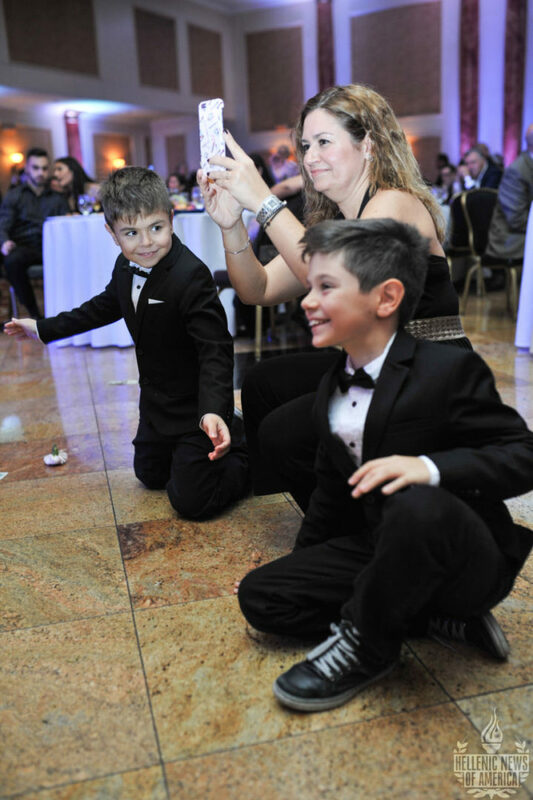 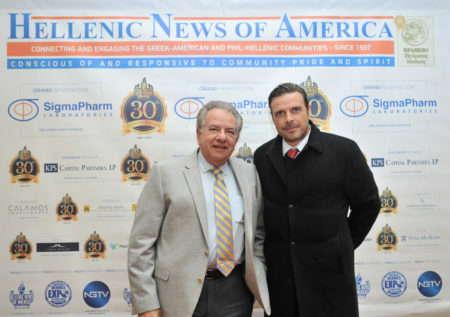 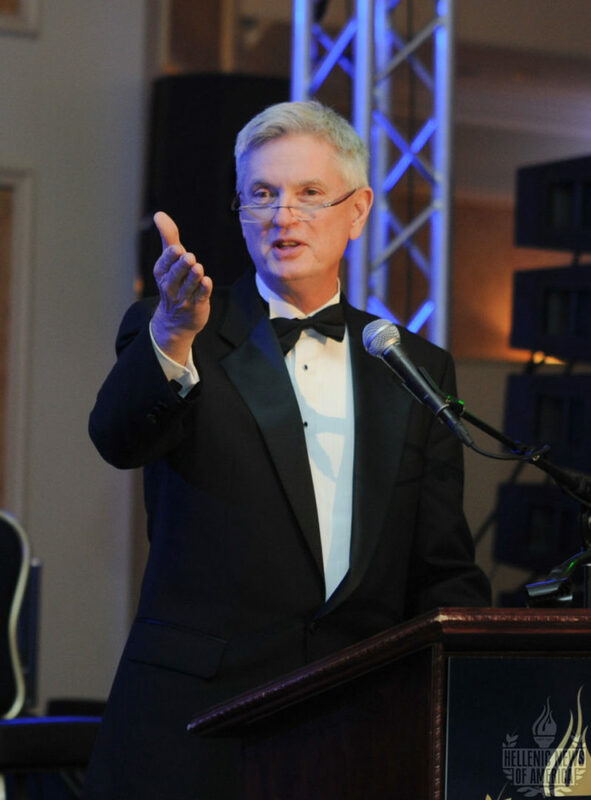 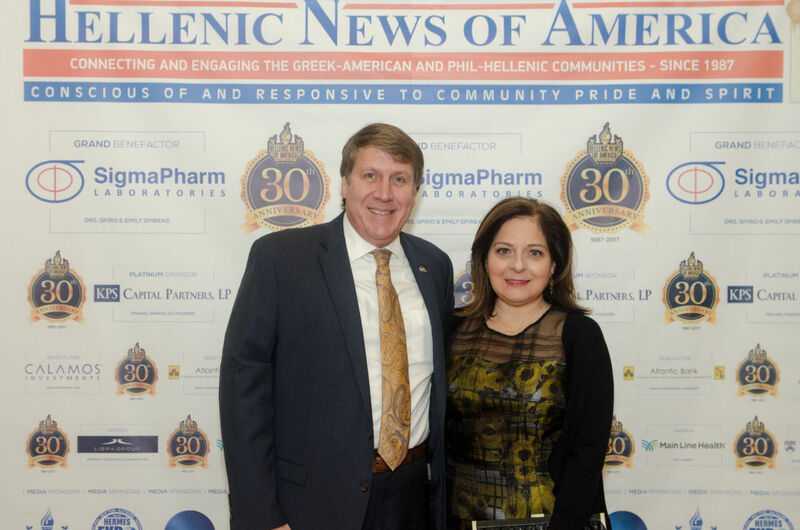 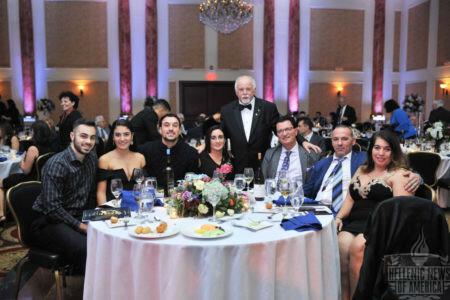 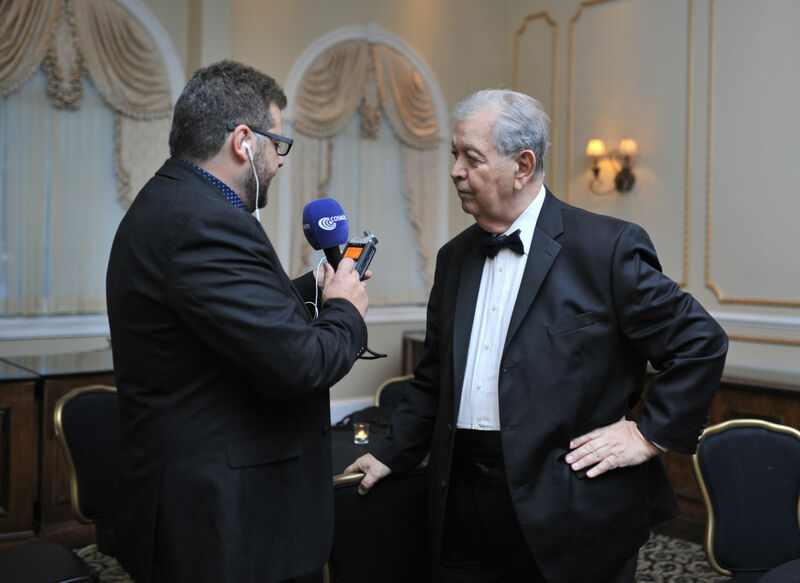 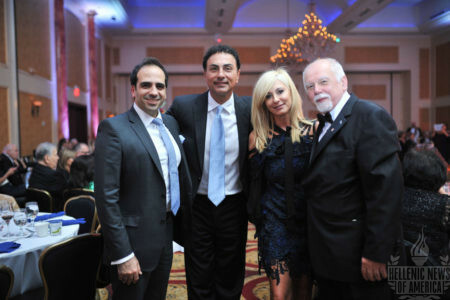 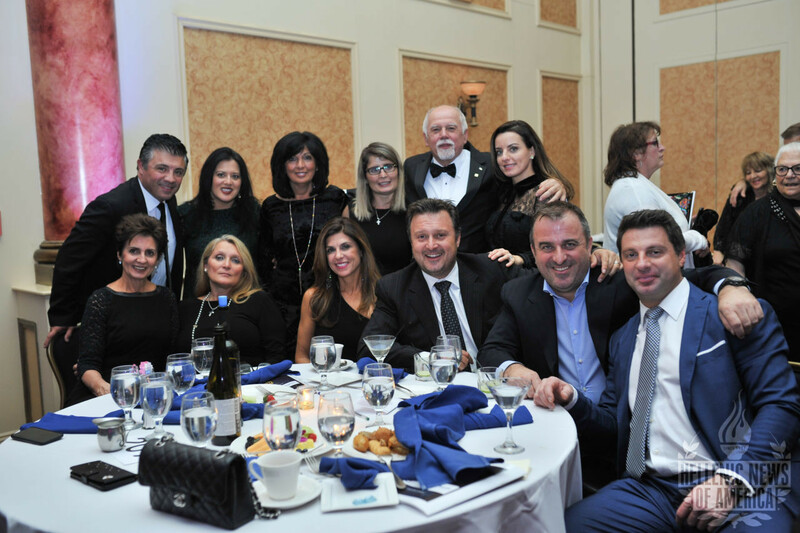 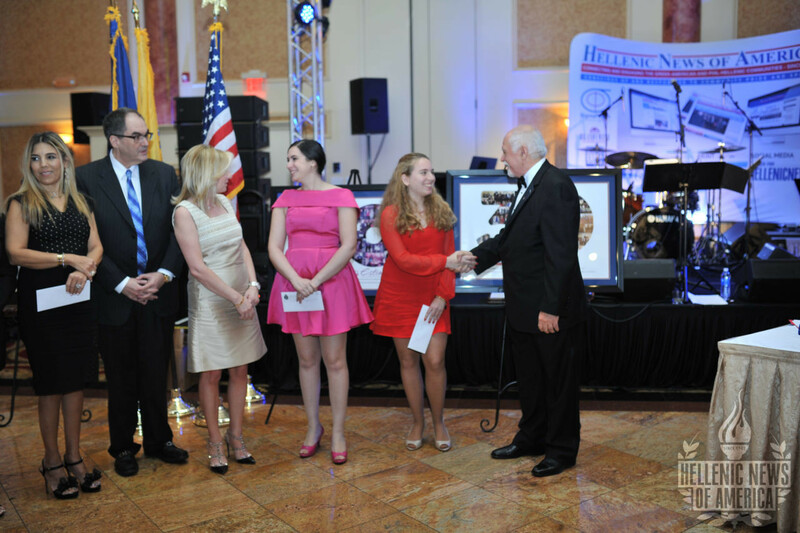 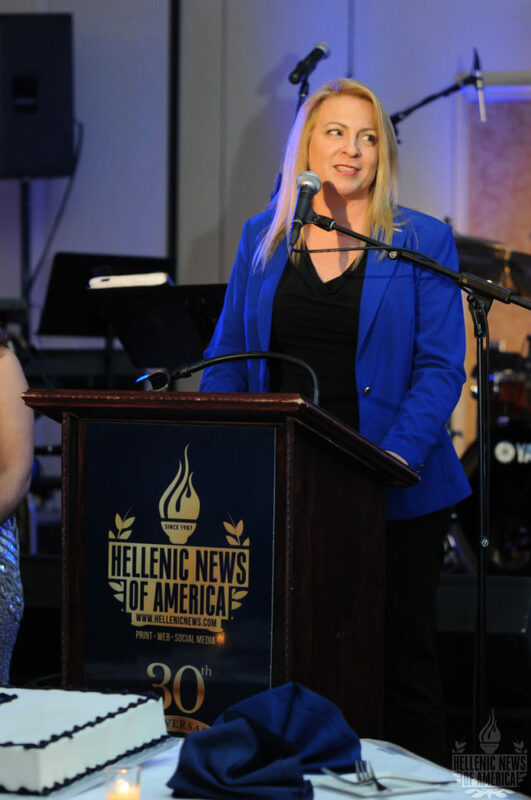 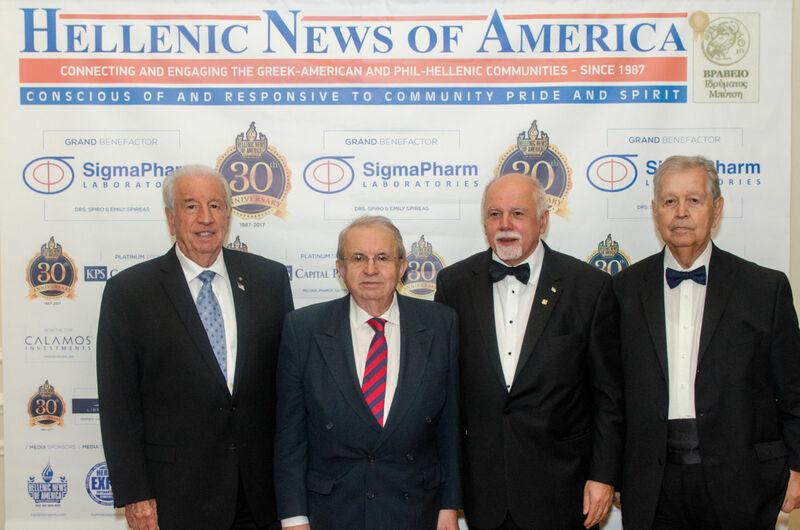 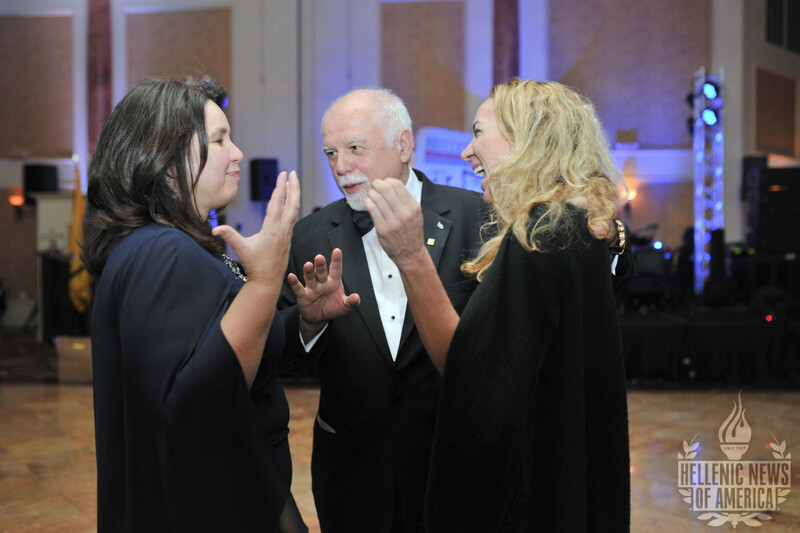 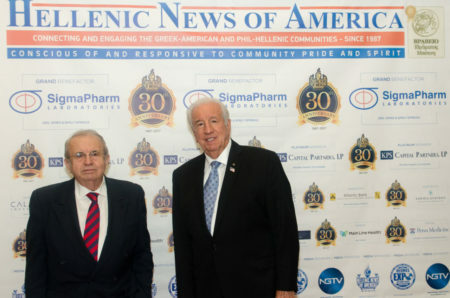 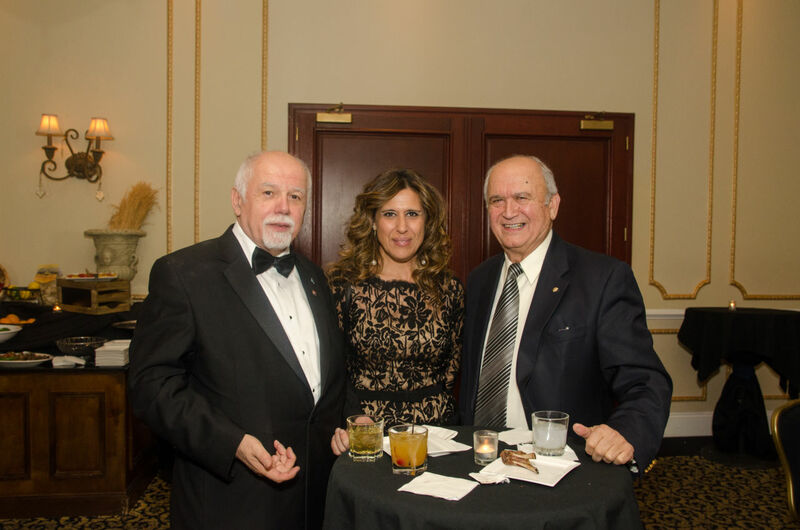 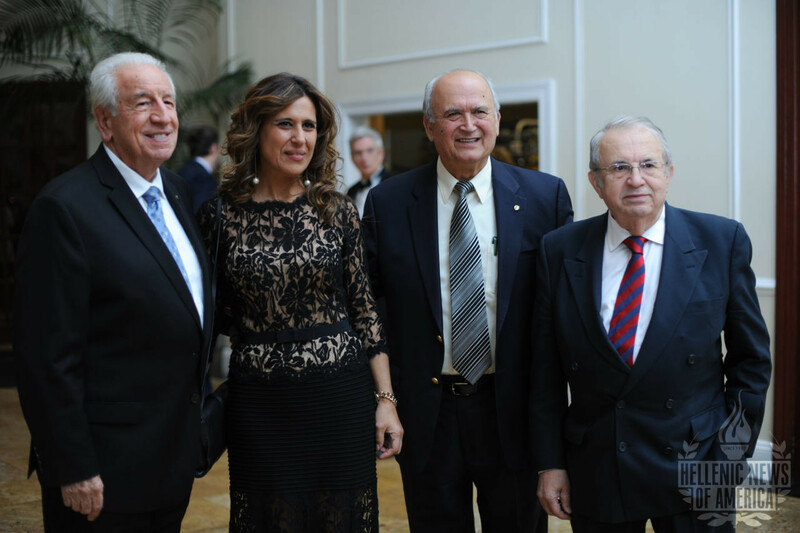 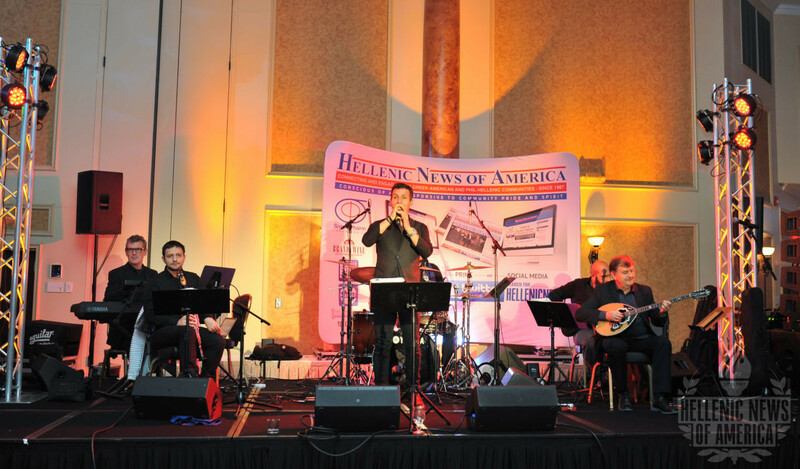 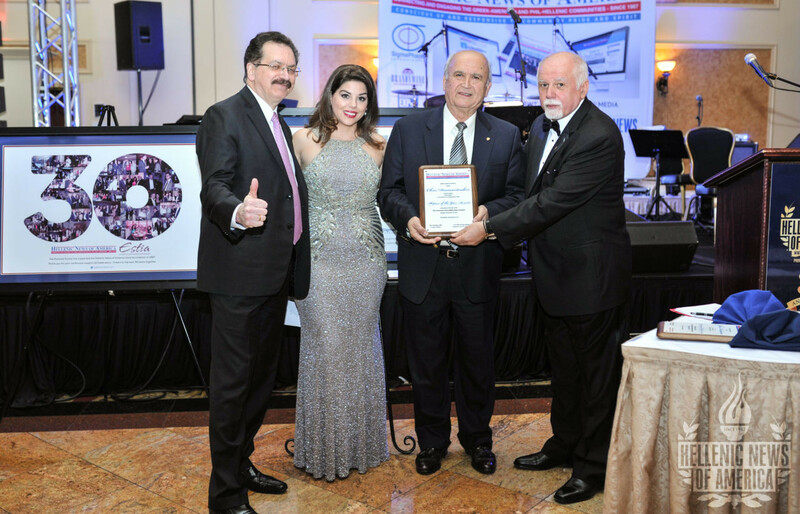 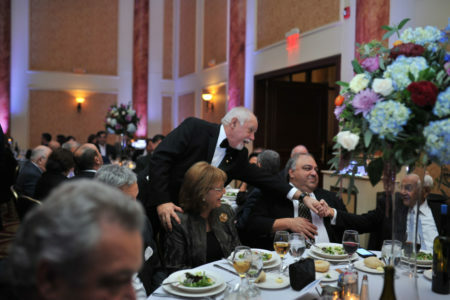 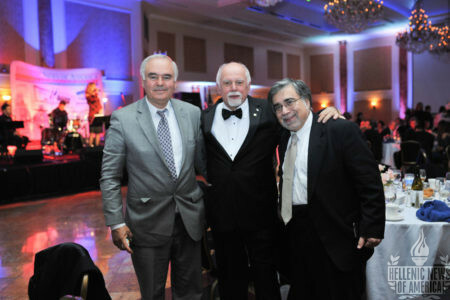 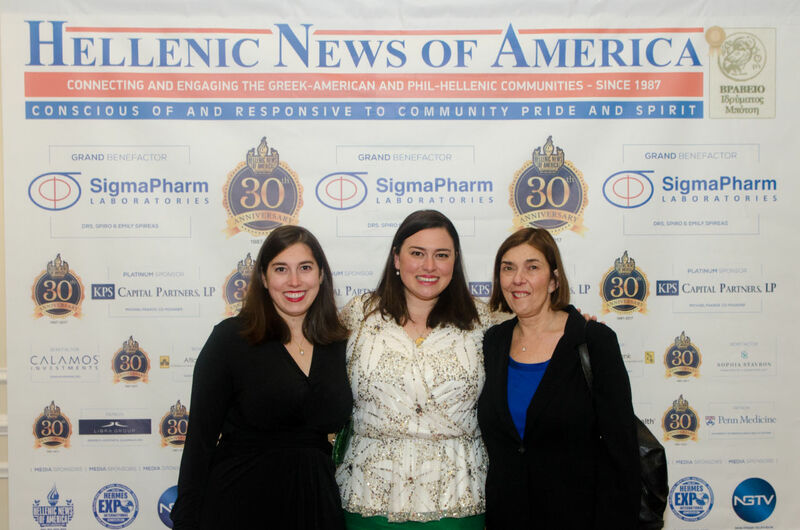 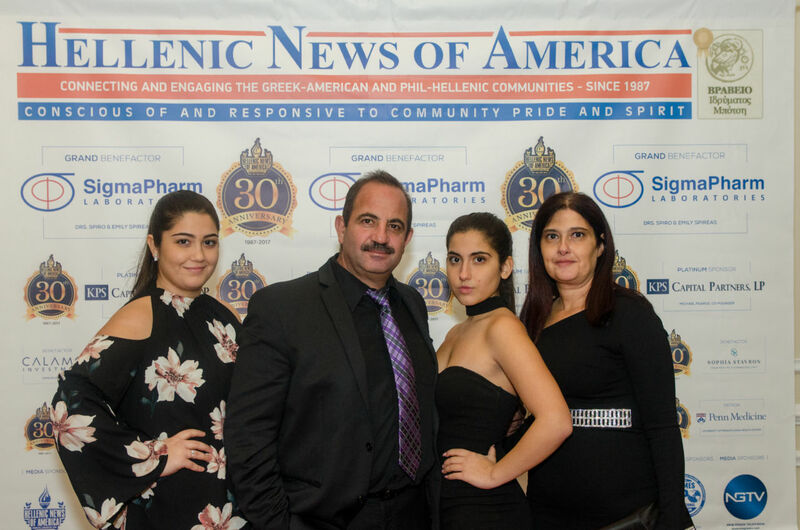 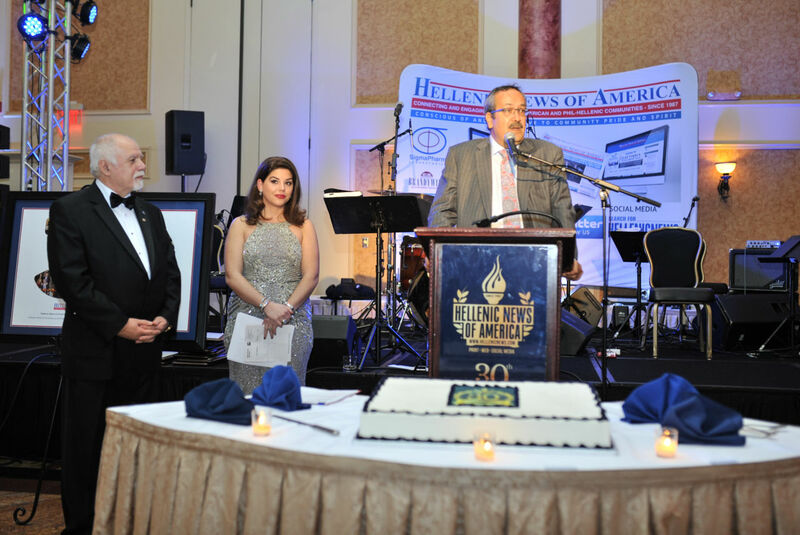 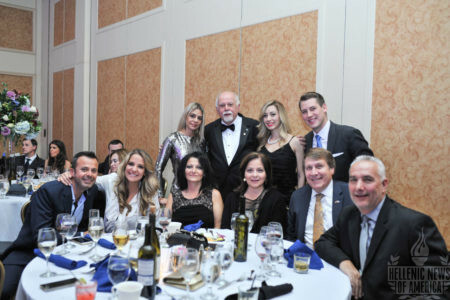 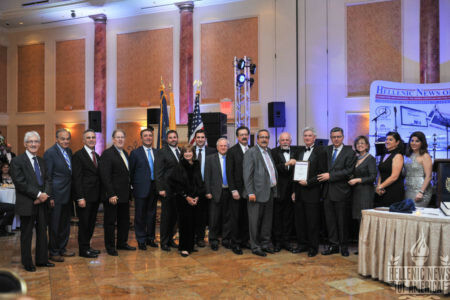 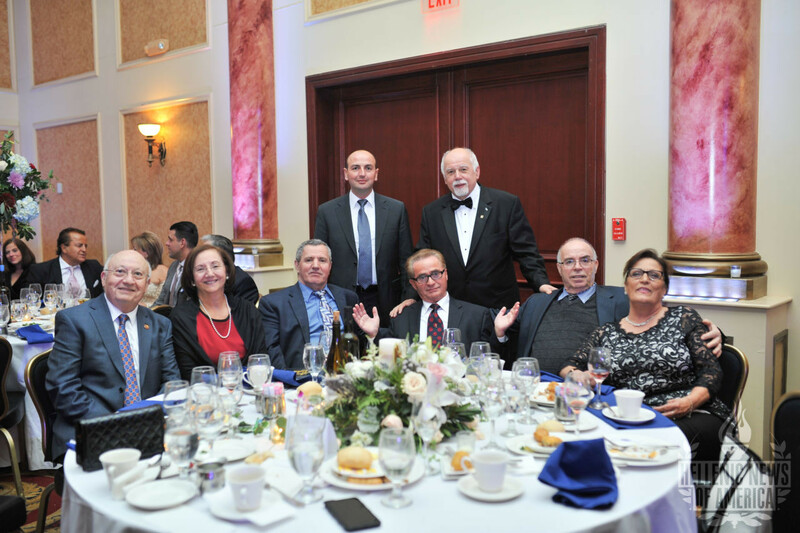 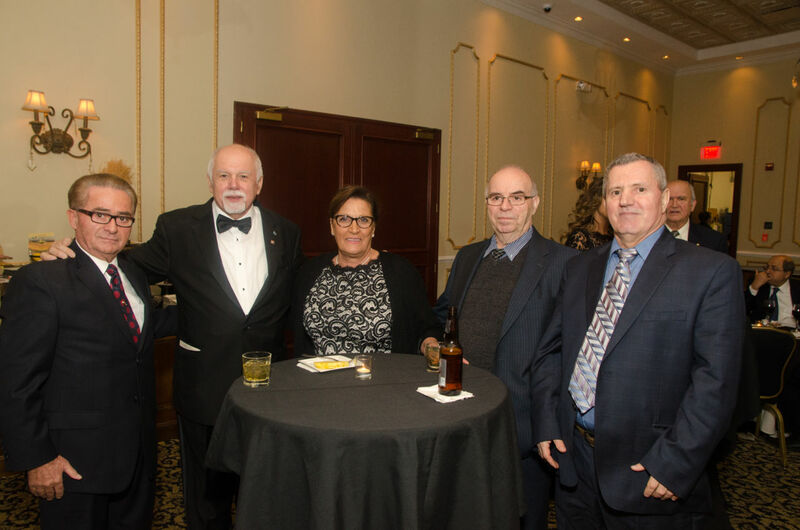 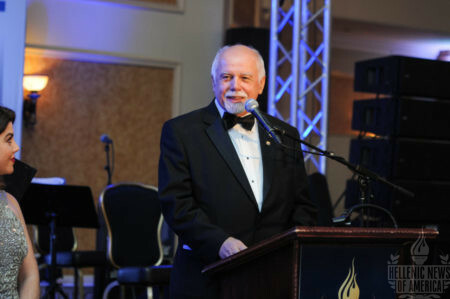 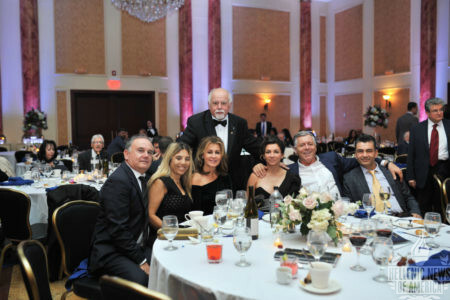 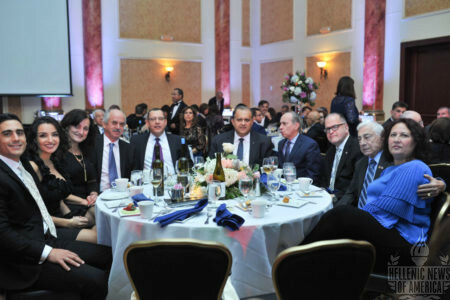 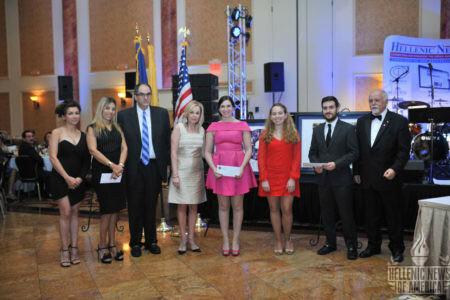 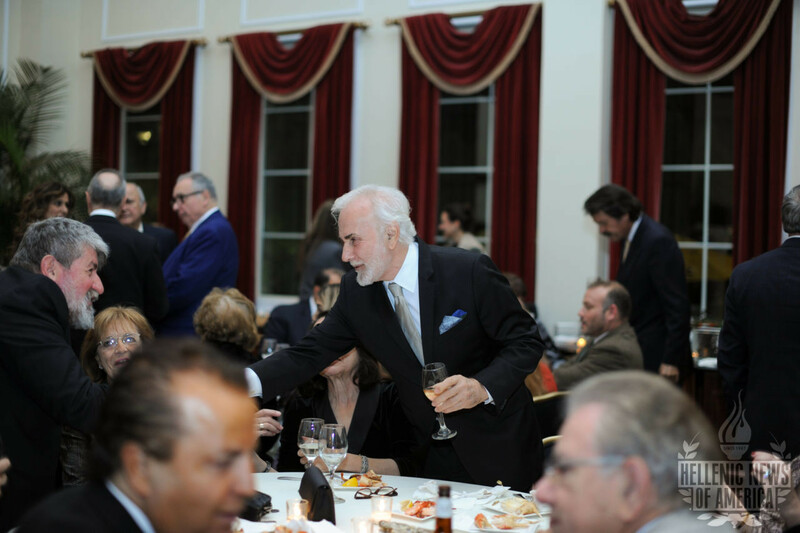 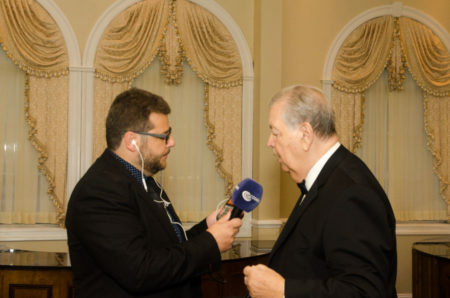 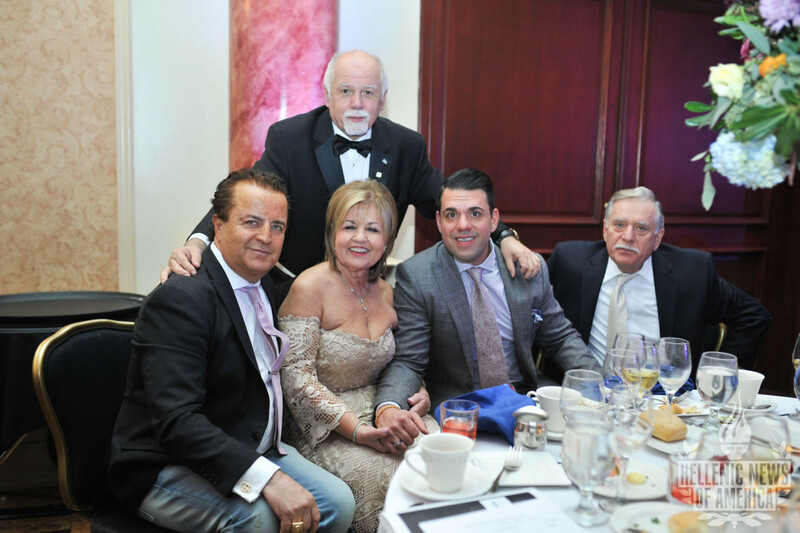 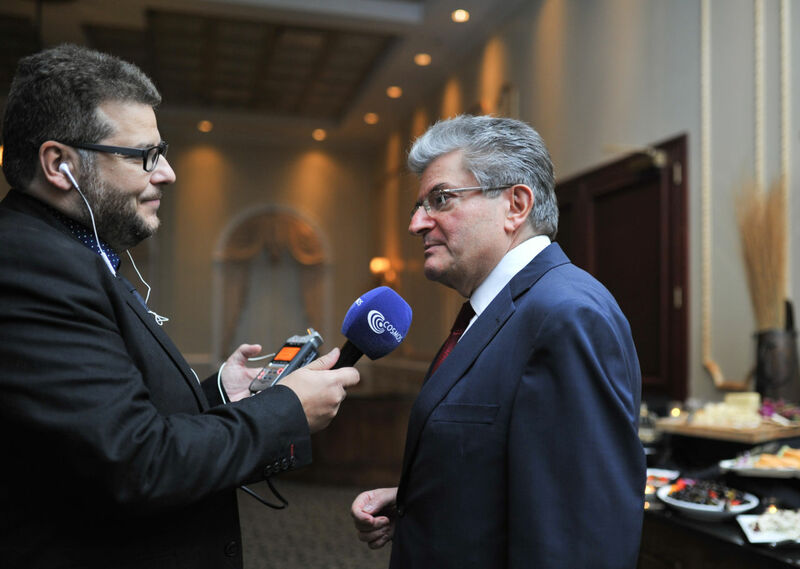 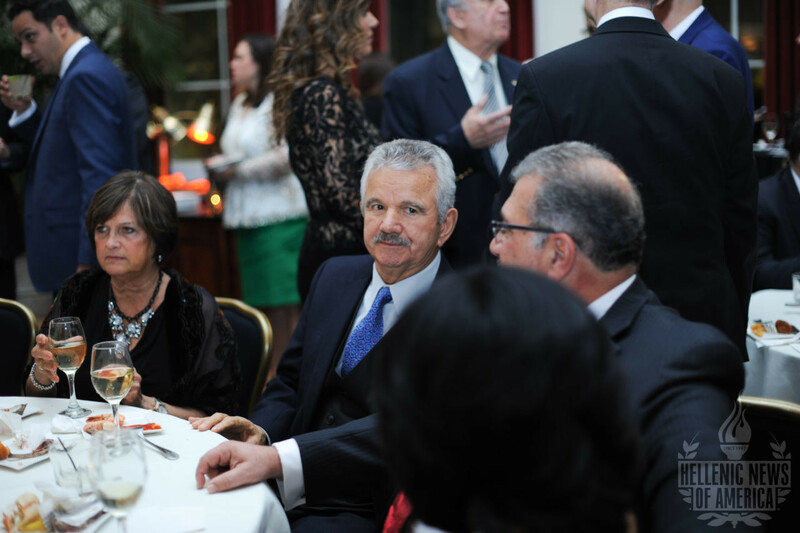 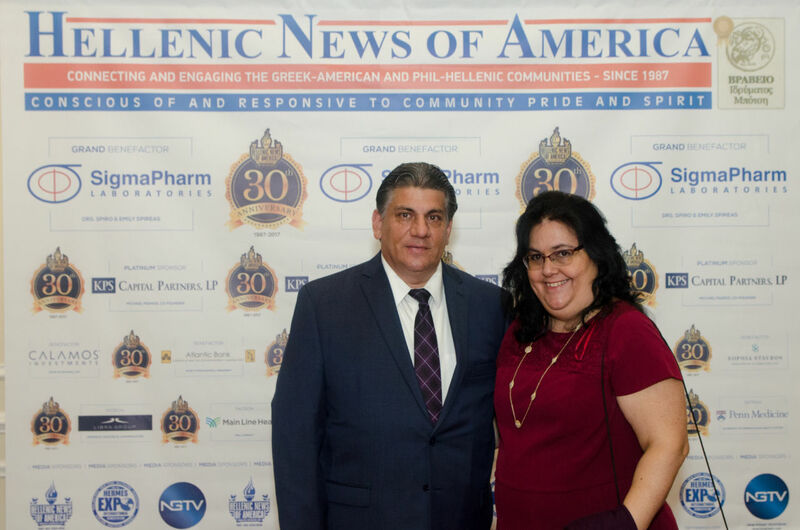 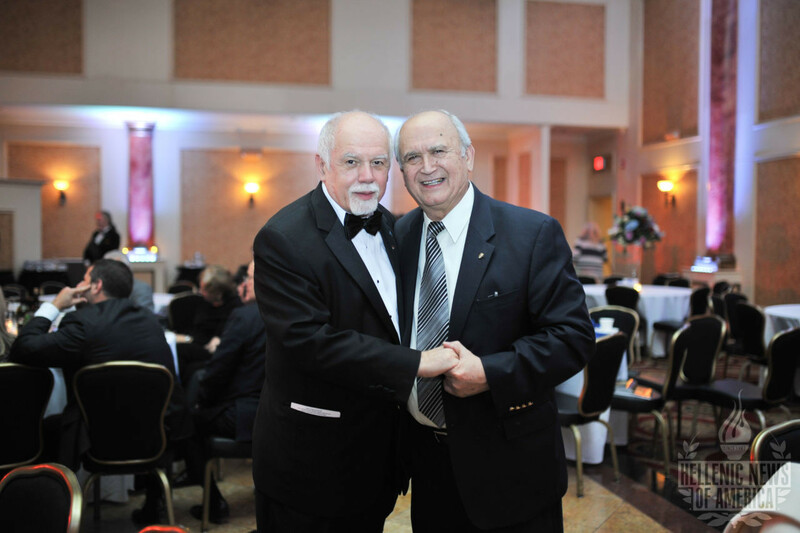 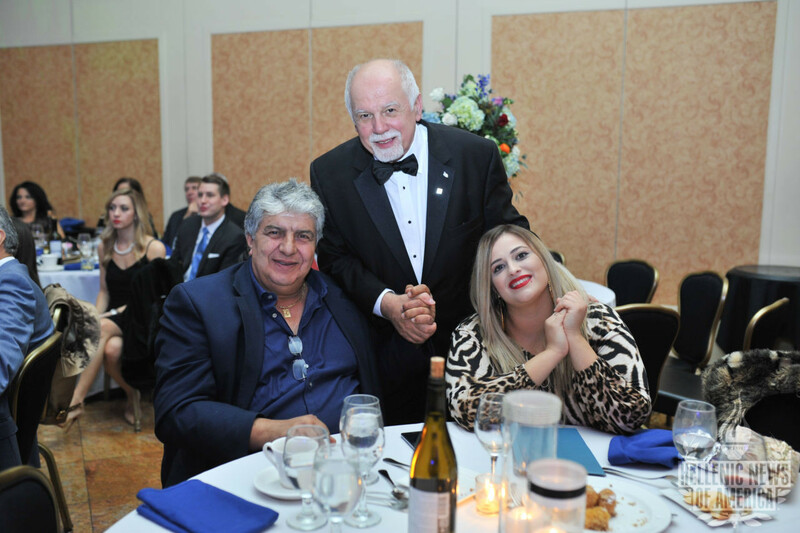 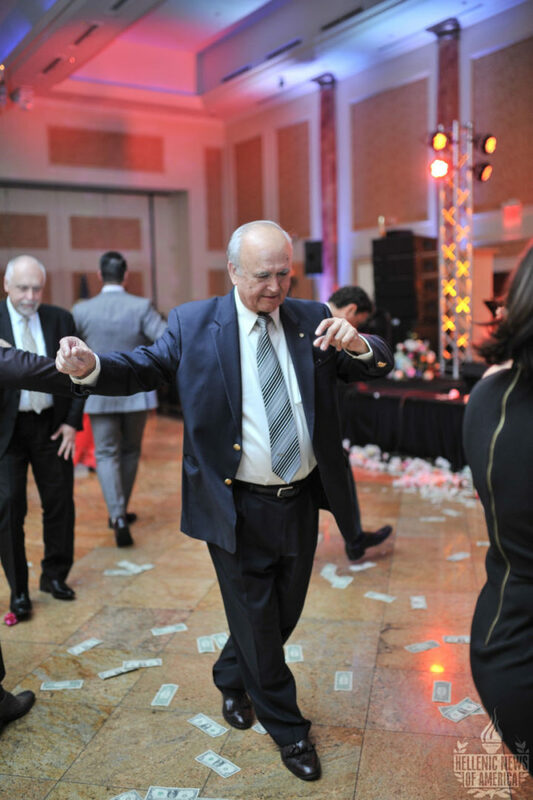 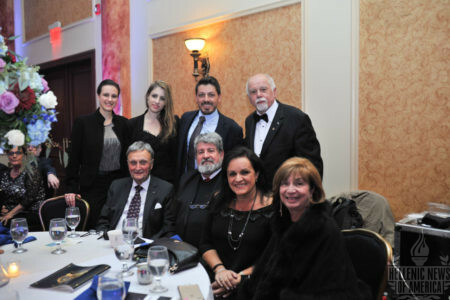 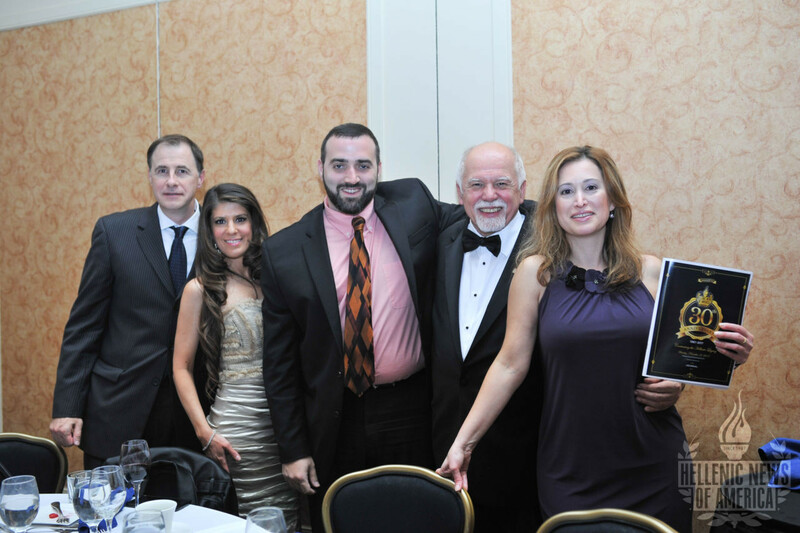 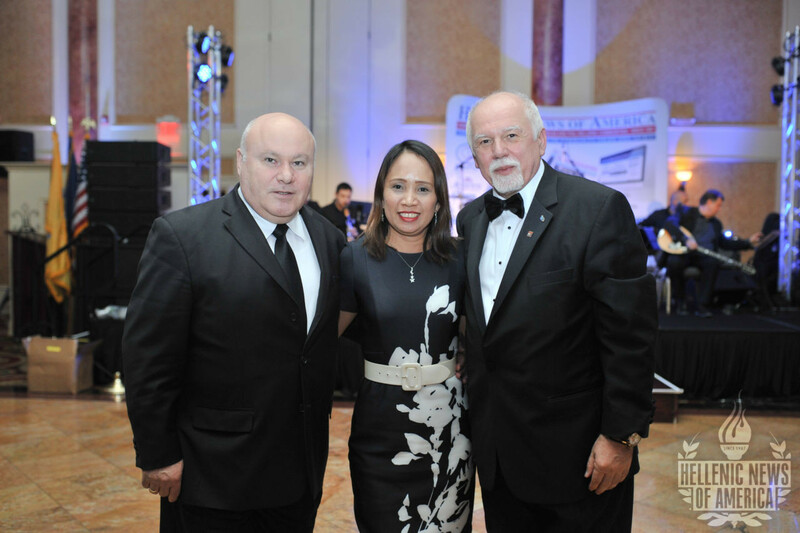 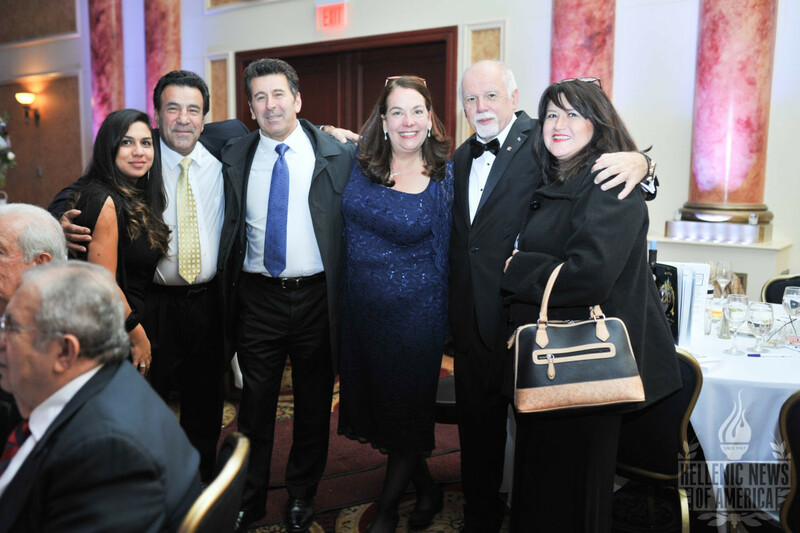 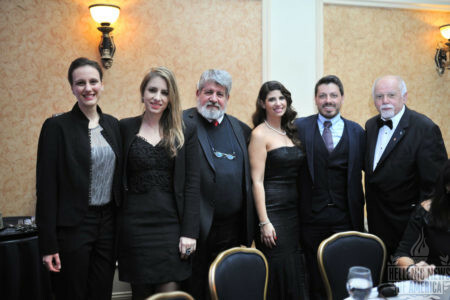 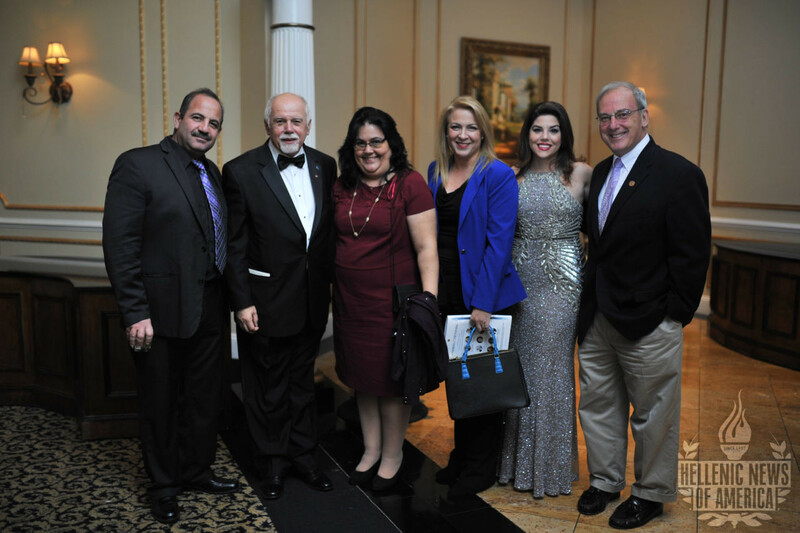 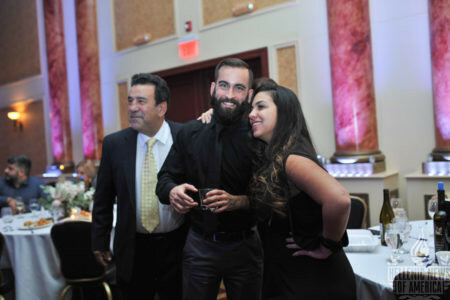 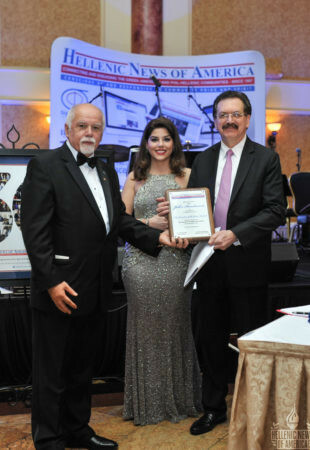 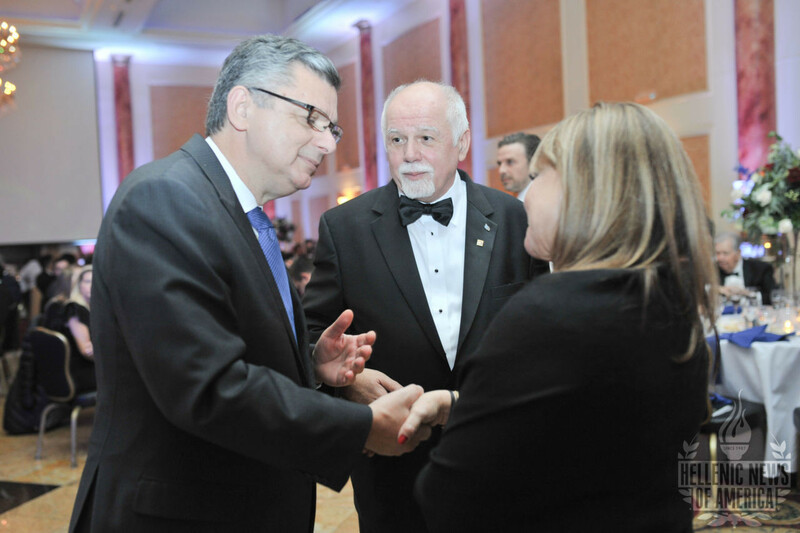 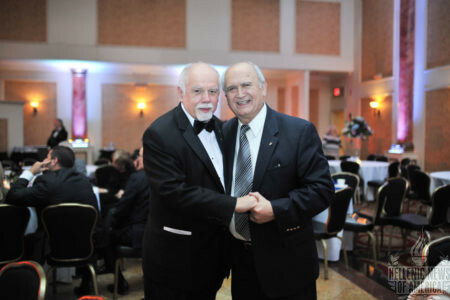 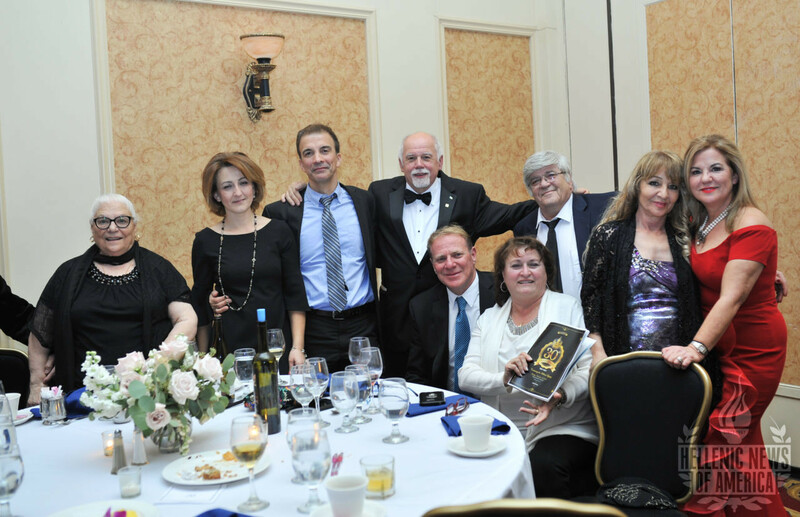 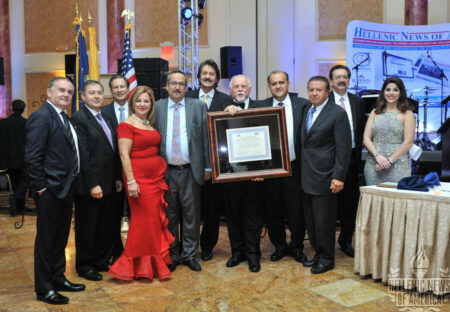 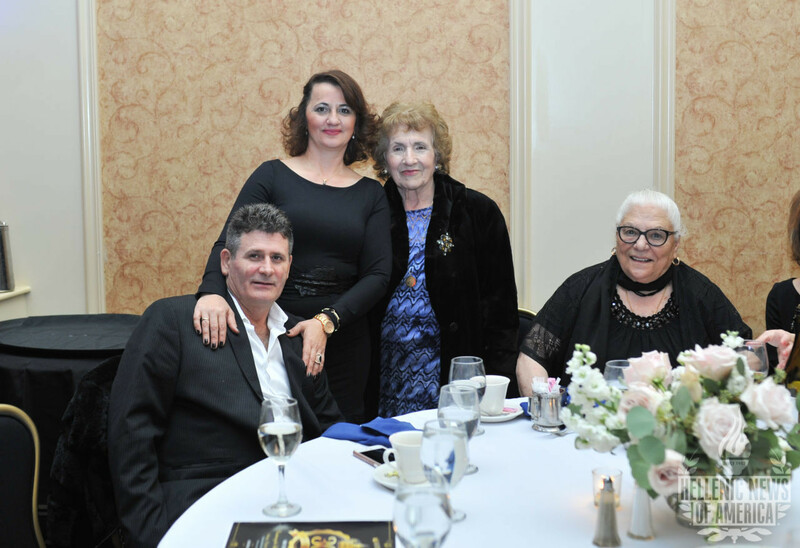 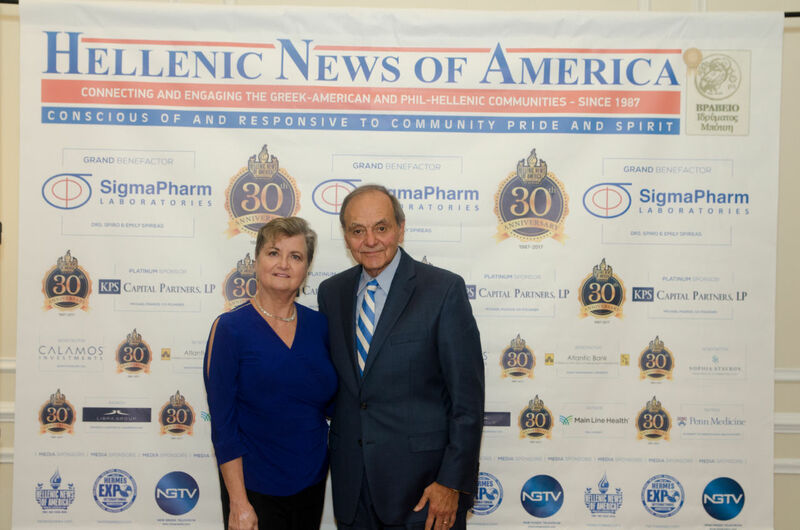 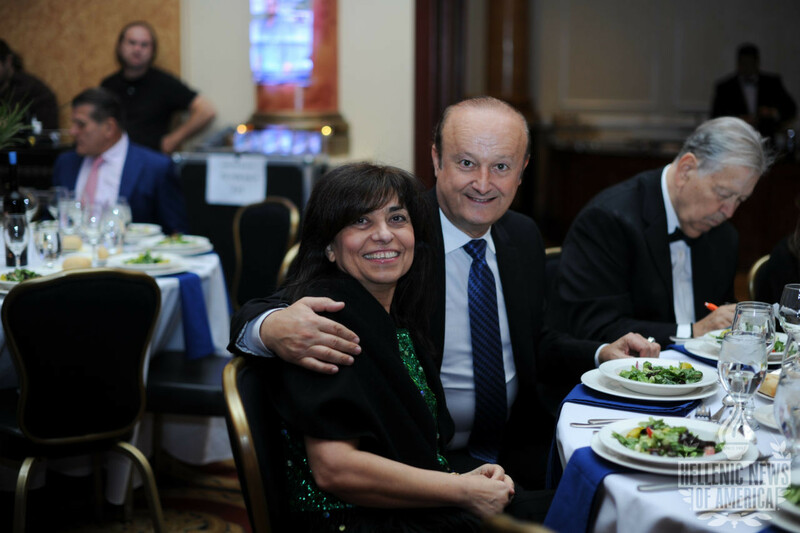 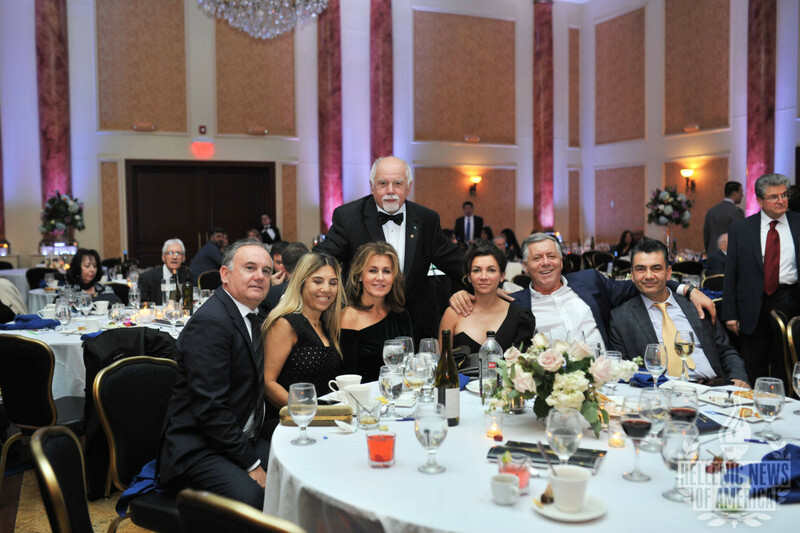 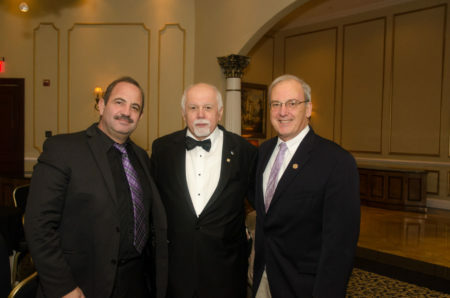 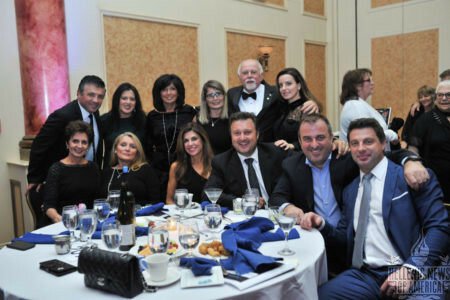 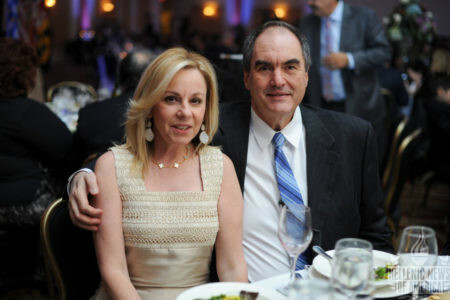 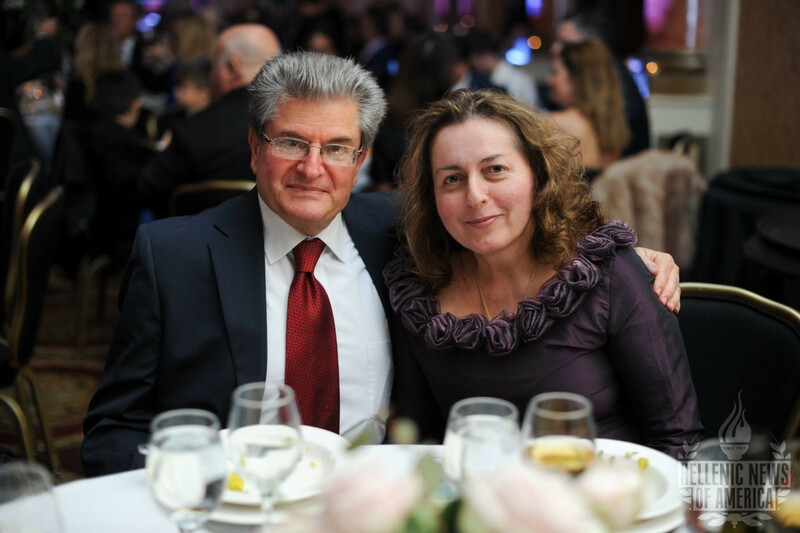 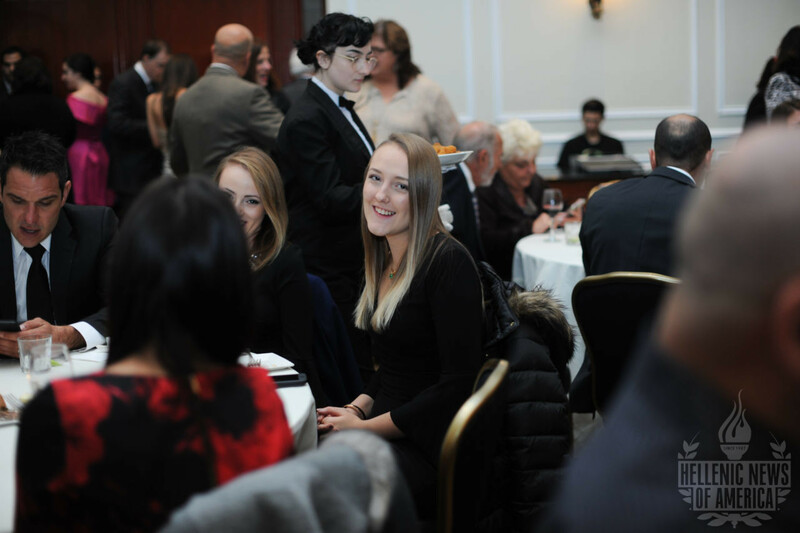 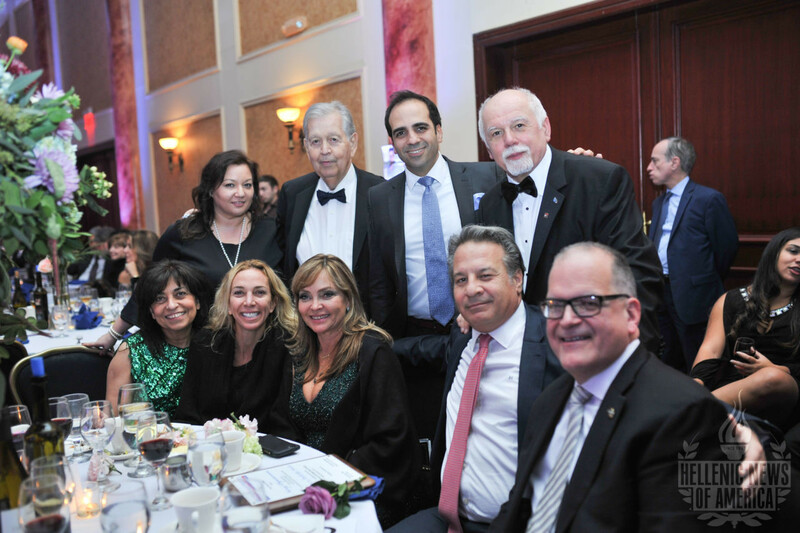 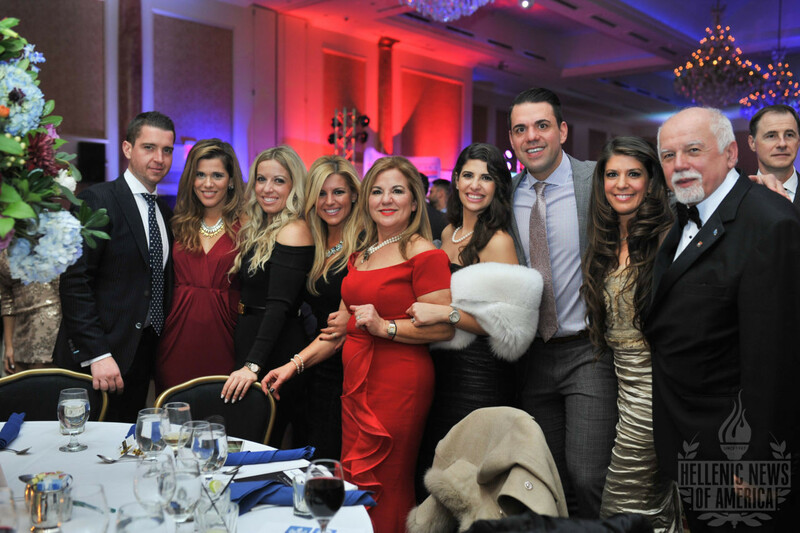 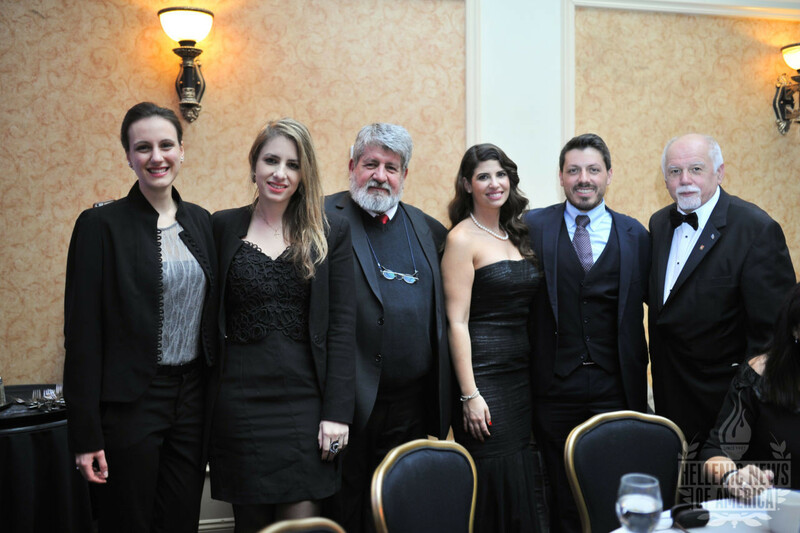 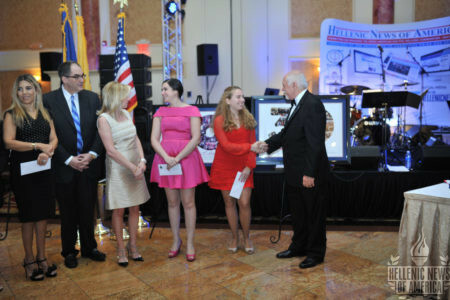 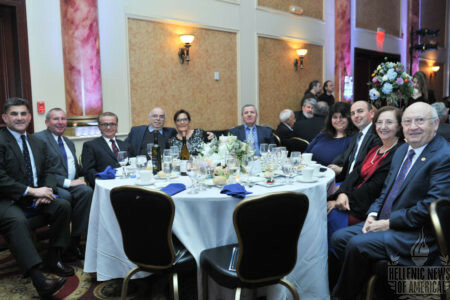 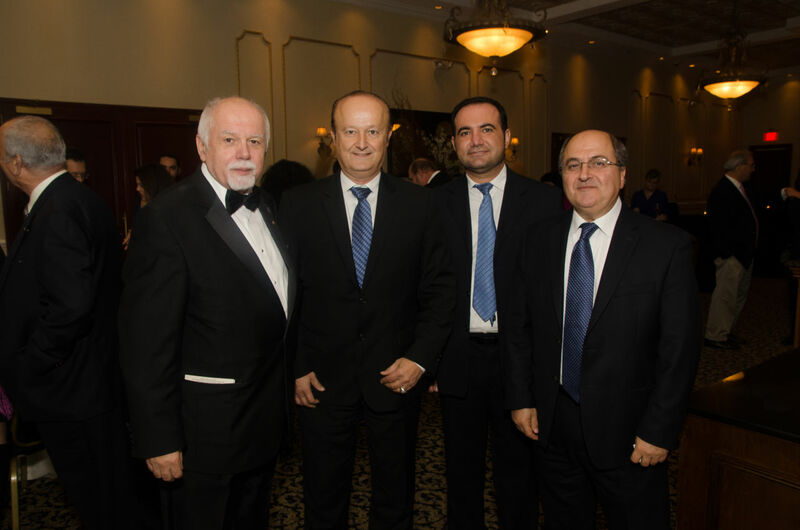 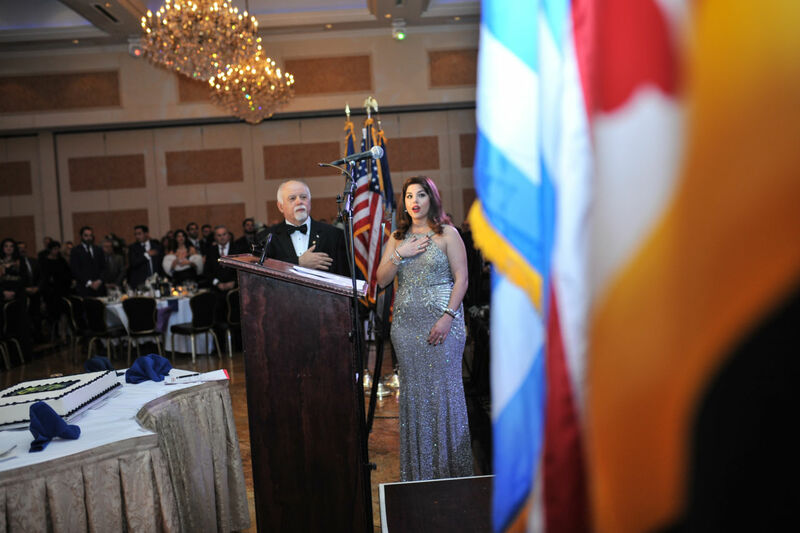 Cinnaminson – On November 12, the Hellenic News of America (HNA) GALA took place at The Merion in Cinnaminson, New Jersey, as part of the 30th anniversary of the distinguished Greek-American publication. 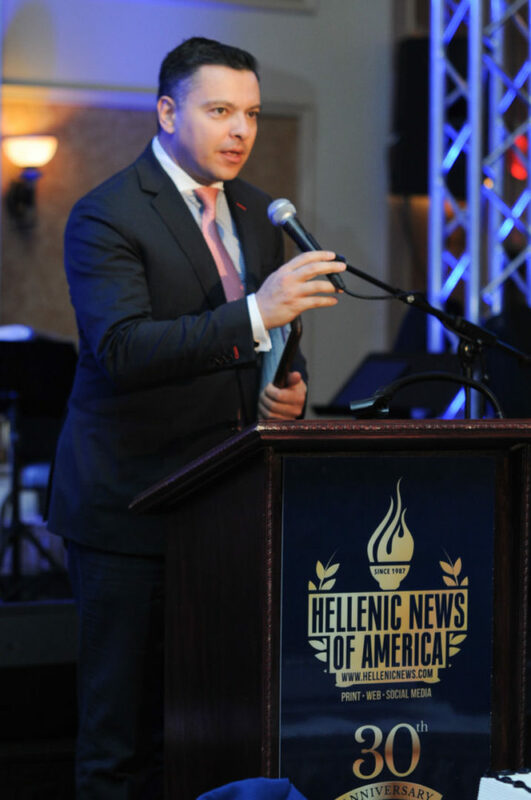 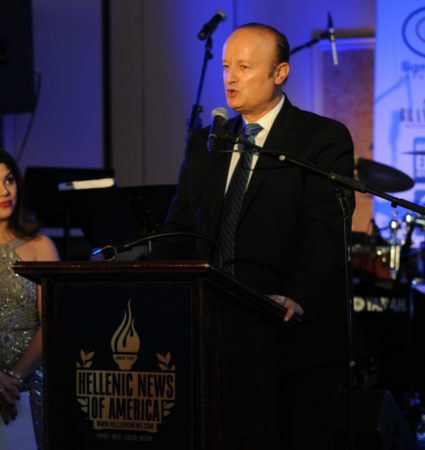 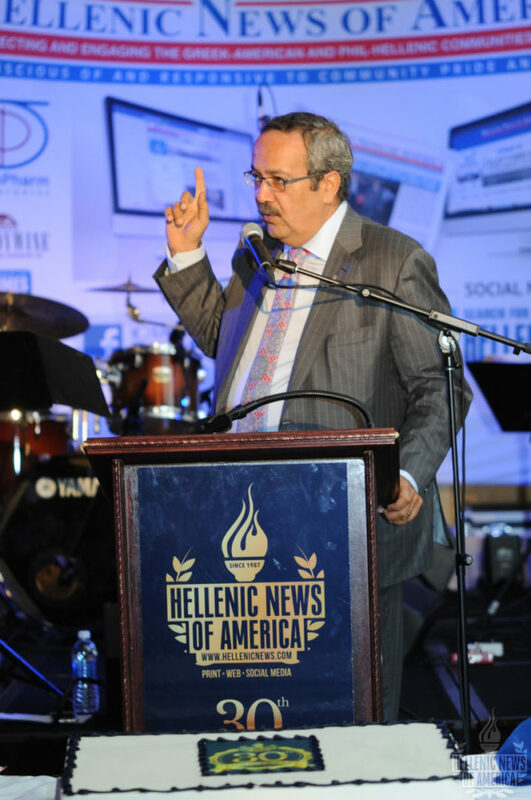 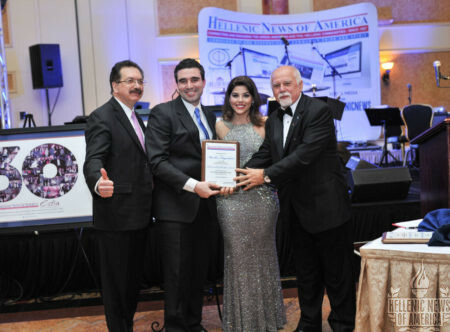 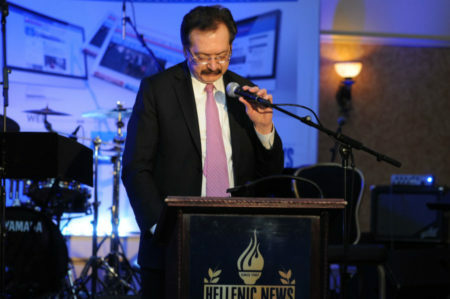 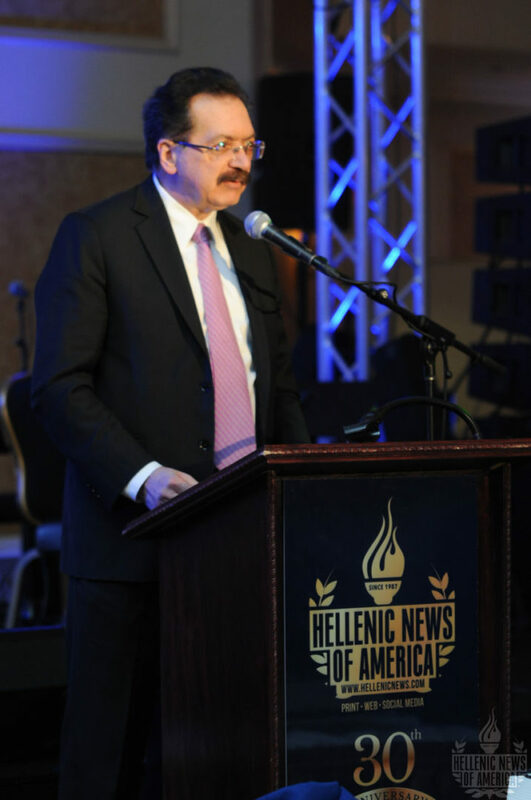 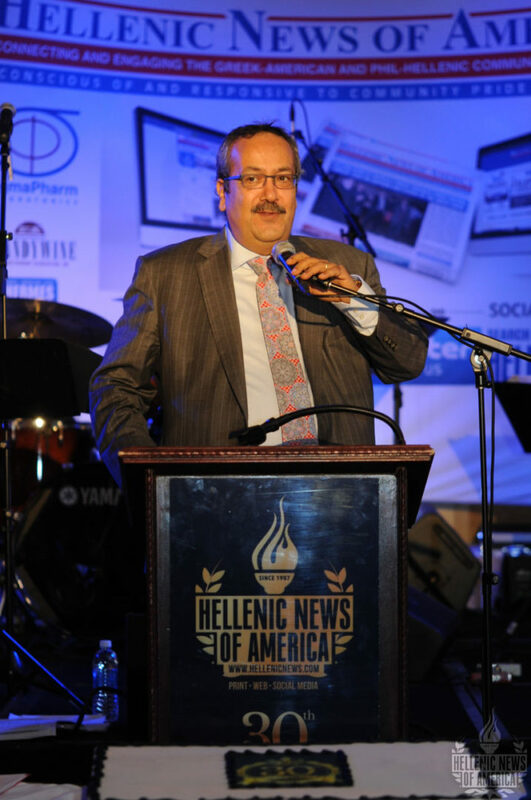 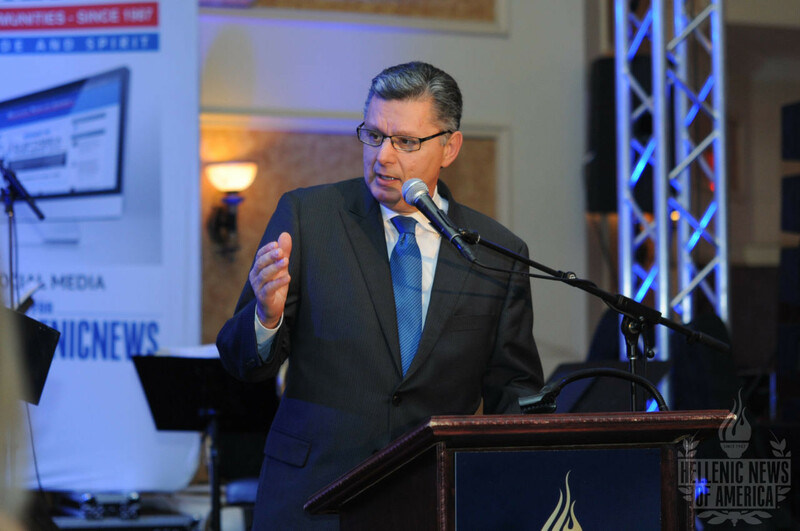 The Hellenic News of America is a bilingual (Greek and English) print and online outlet that was founded by publisher, Mr. Paul Kotrotsios, MBA. 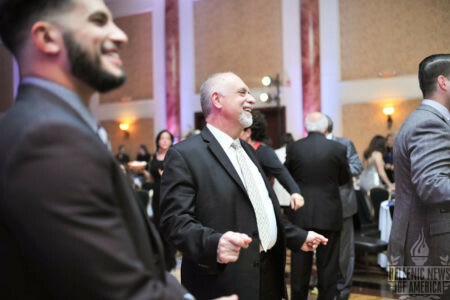 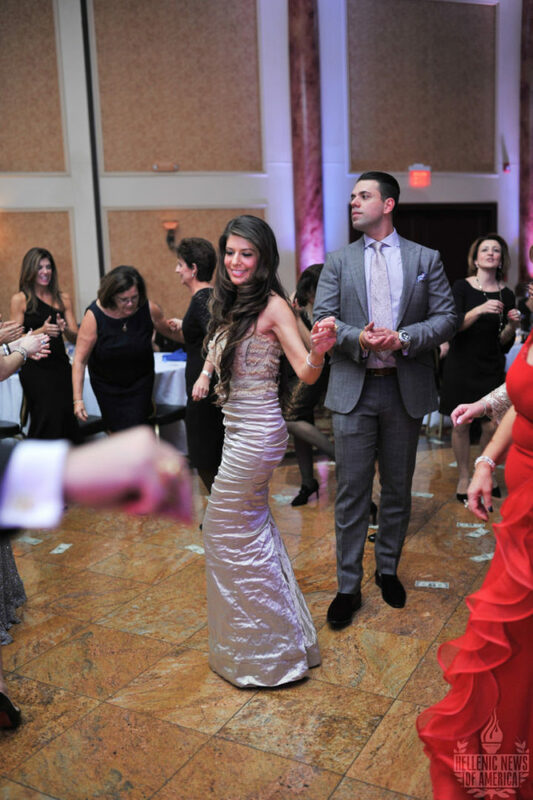 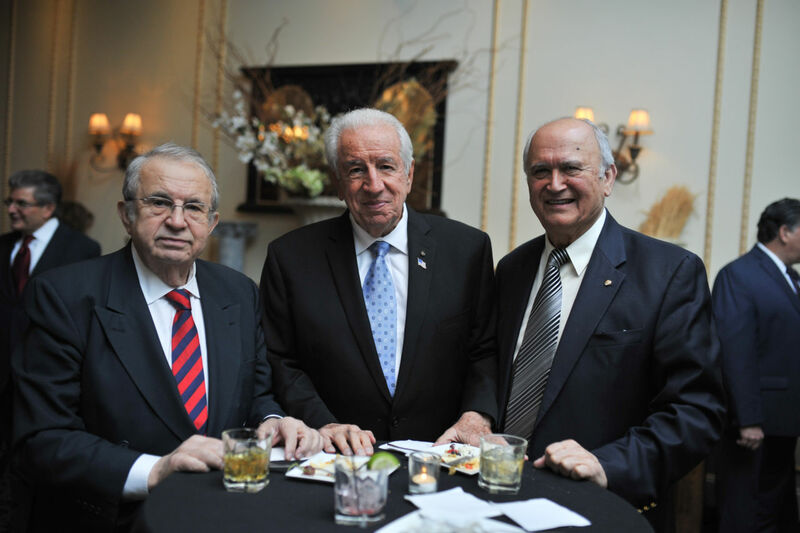 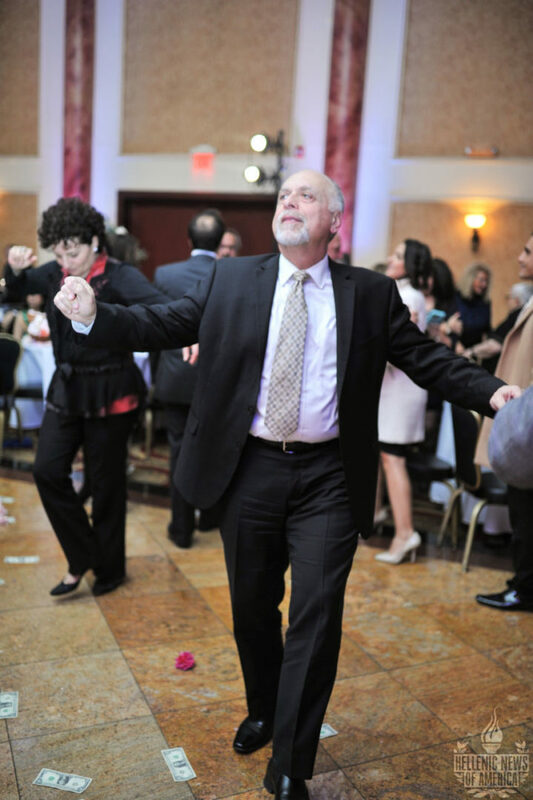 It has been connecting and engaging Greek-Americans and Phil-Hellenes since 1987. Dr. Spiro Spireas, the Chairman and CEO of Sigmapharm Laboratories, made the greetings. 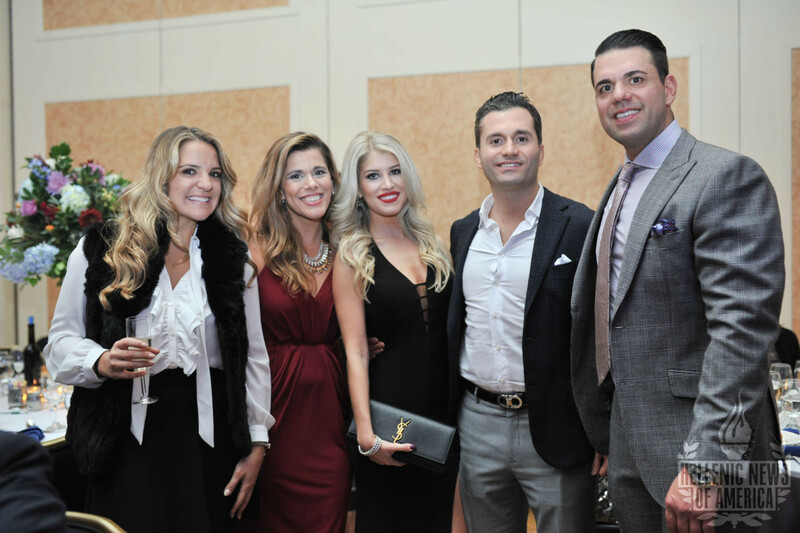 Dr. Spireas was also the grand benefactor of the event, as well as one of the keynote speakers. 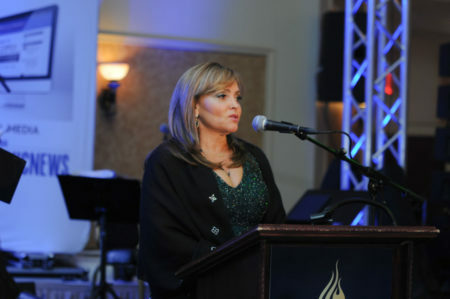 The keynote address was by Maria Tsobanaki, the former Vice Mayor of Athens, as well as the Cultural Ambassador of Crete. 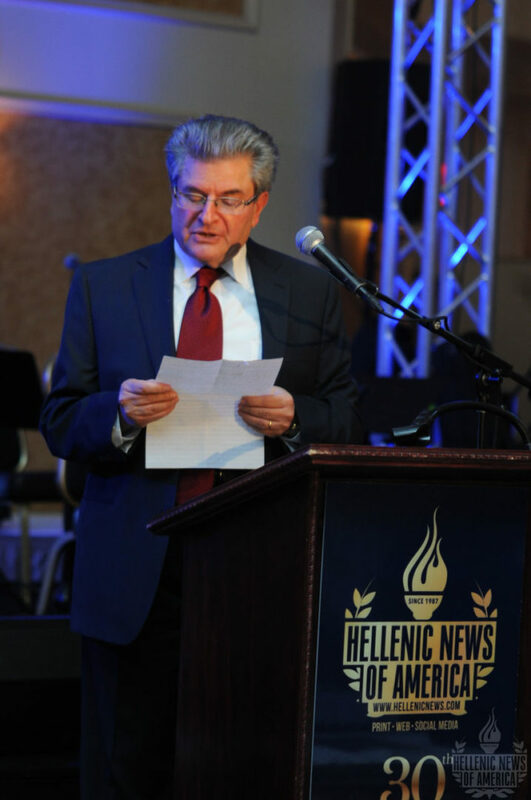 Mr. Louis Katsos, the master of ceremonies, presented this year’s Hellenic News Hall of Fame honorees with their plaques, along with Mr. Paul Kotrotsios. 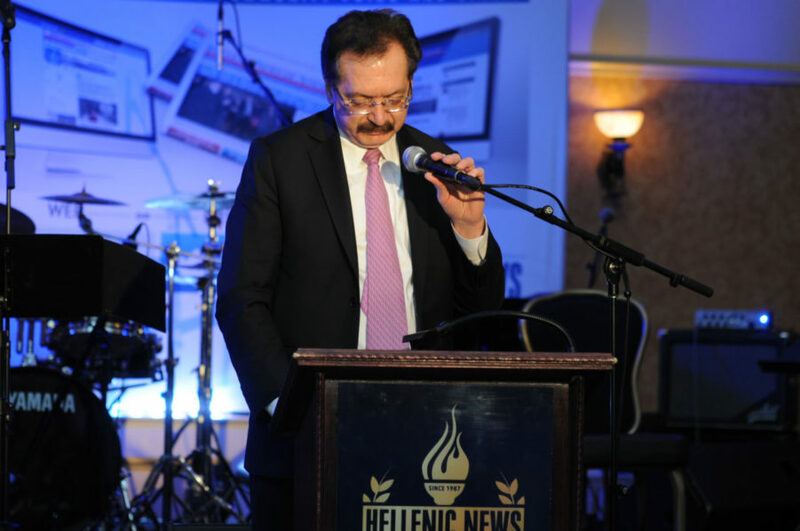 The 10 honorees were awarded for their illustrious services in their respective fields, which ranged from education, medicine, banking, humanitarianism, politics, economics, to entertainment journalism. 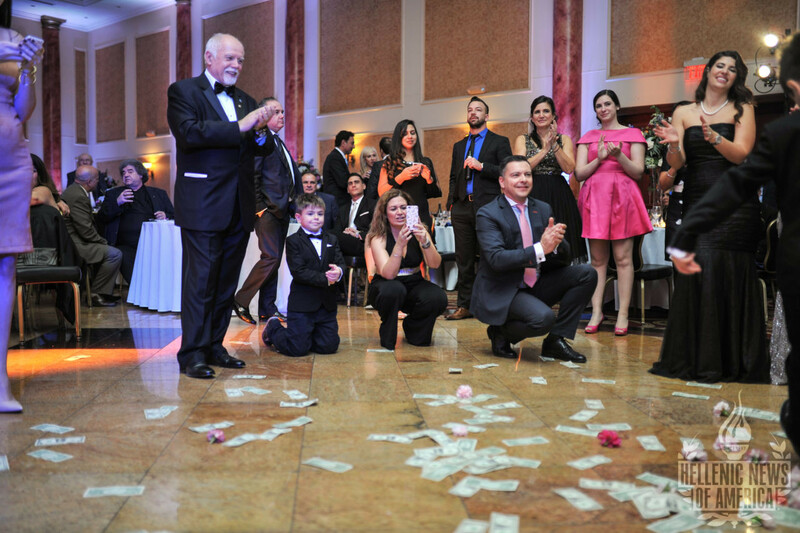 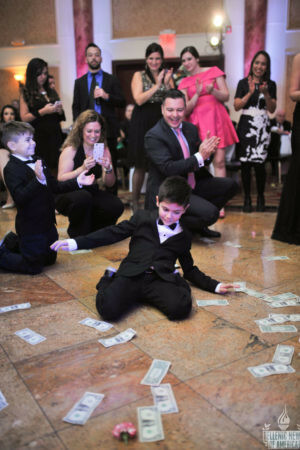 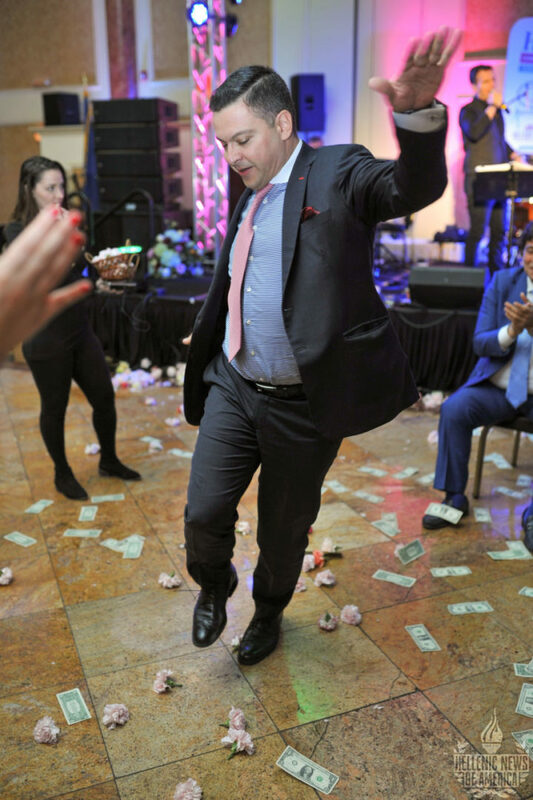 The honorees included: Mr. Psaros, the co-founder and partner of KPS (who was unable to attend the ceremony), Nancy Papaioannou, the president of Atlantic Bank NYCB, John Koudounis, the CEO of Calamos, Dr. Michael Papaioannou from the International Monetary Fund, The Honorable Mike Pantelides, the mayor of Annapolis (Maryland), cardiologist Dr. Thomas Phiambolis, and AHEPA Supreme Governor Chris Diamantoukos. 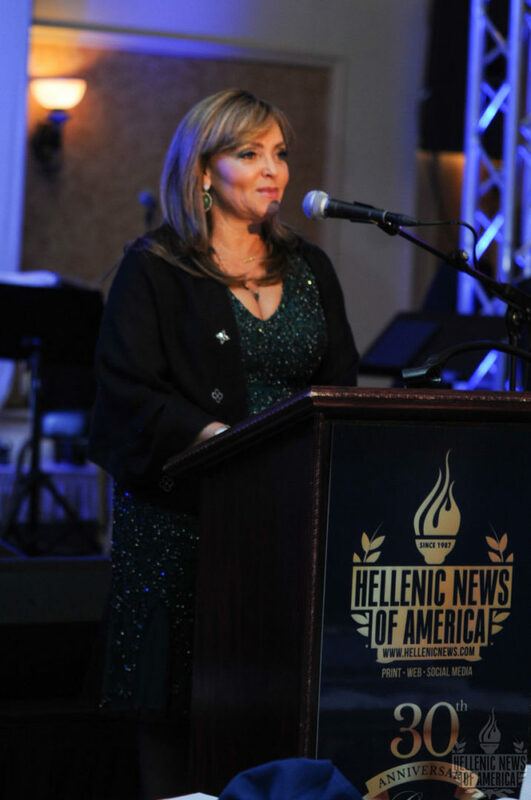 Mrs. Nancy Papaioannou, President of Atlantic Bank accepting her award. 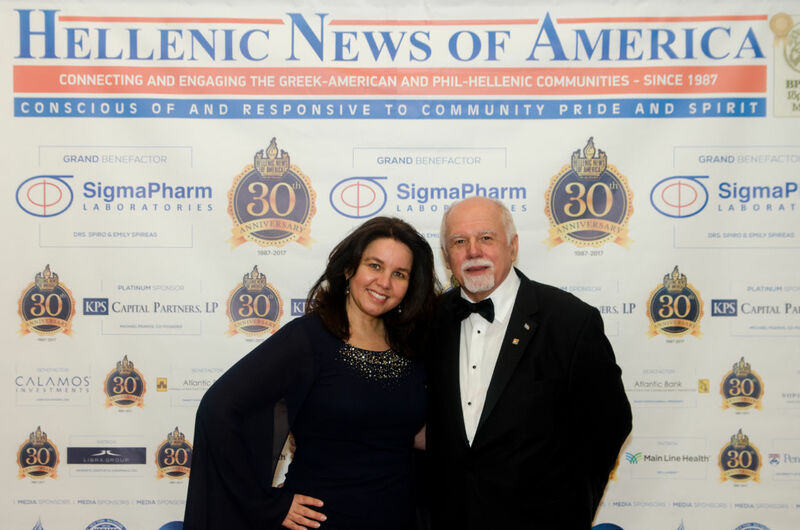 Emeritus Professor Marina Angel of Temple University and philanthropist Eleni Bousis were both unable to be present to accept their awards, so they accepted their accolades with a pre-recorded video acceptance speech. After the awards presentation, a dinner reception followed, and entertainment was provided by Greek music star Dimitris Basis. 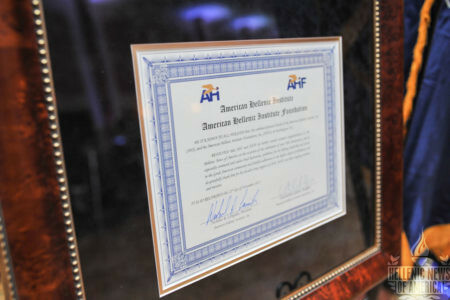 To learn more about the Hellenic News of America, check out its official website. 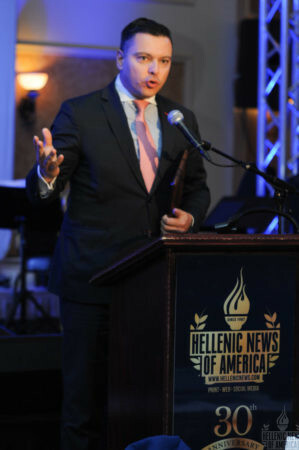 Markos Papadatos accepting his award. Mr. Phil Vogis accepted Mr. Diamantoukos award on his behalf. 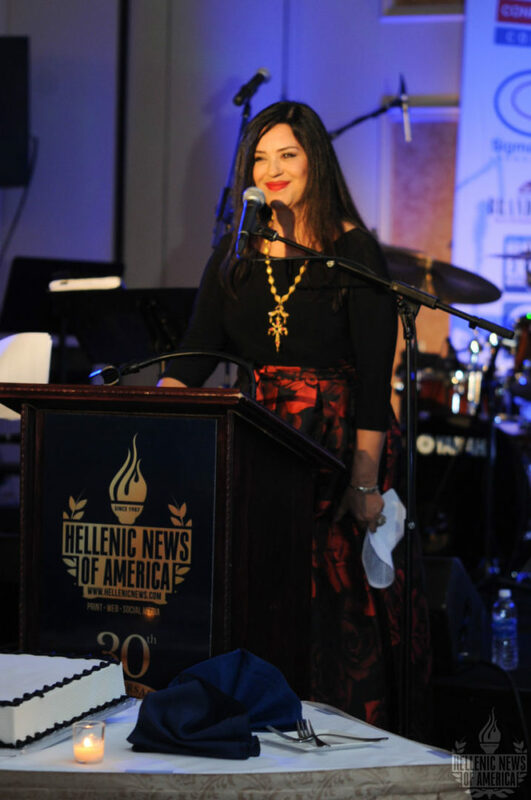 Zoi Kalloudou from Chicago accepted Elenis award on her behalf. Mr. Jimmy Athanasopoulos, Head of Social Responsibility at the Libra Group accepted Mr. Michael Psaros award on his behalf. 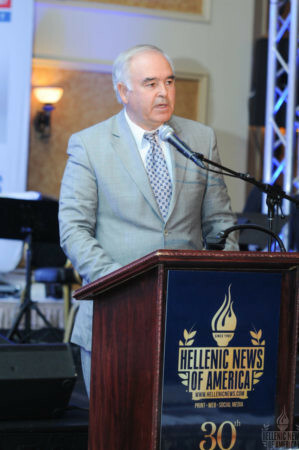 Mr. Louis Katsos accepting Mr. John Koudounis award on his behalf. Mr. Michael Papaioannou, Former Deputy Division Chief of the IMF accepting his award.